What do you eat on a rainy day in Singapore? Something hot and soupy...like Ramen! 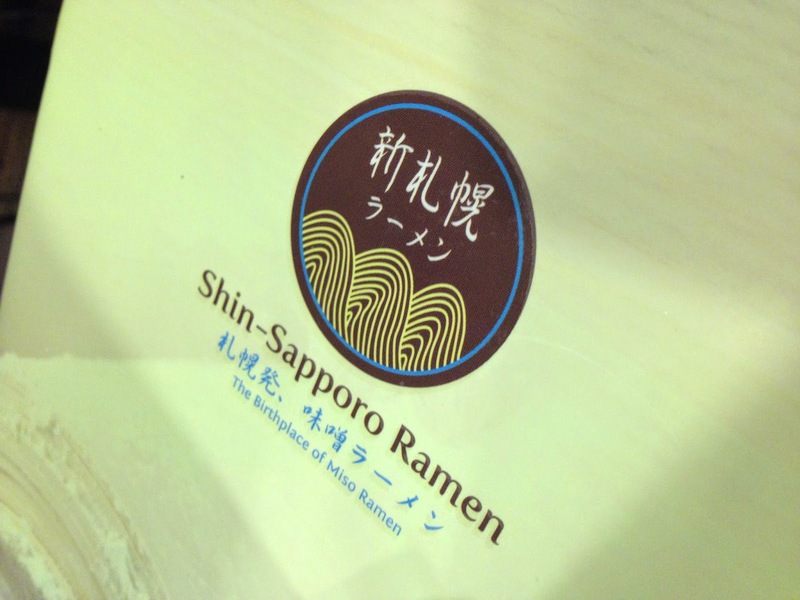 So off we went to Shin-Sapporo Ramen and although it has 'Sapporo' in the name, they serve 3 types of ramen: Hokkaido, Hakata and Shoyu (mainly associated with Tokyo). 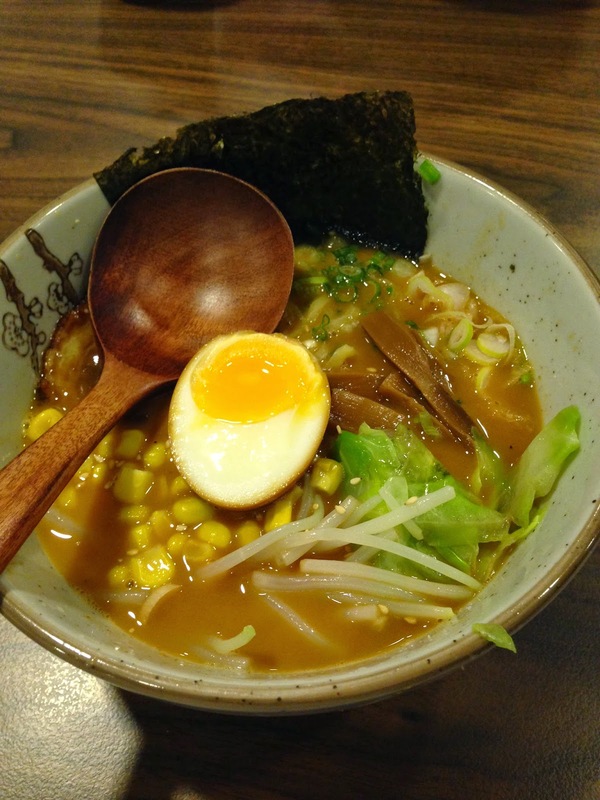 With these 3 types of ramens, there are also 3 types of noodles served together with the different soup bases. 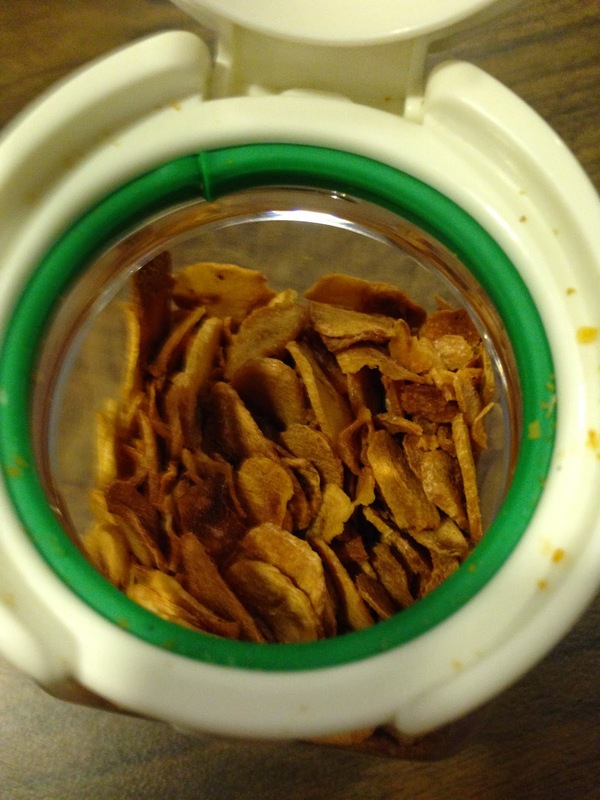 One thing that I did notice while waiting for my food is this jar of fried garlic chips! This is one of the few ramen stores that I know that provide this. Mind you...I had a lot of time to check out all their condiments because the food came about 15-20 minutes later and oddly enough, not all at the same time. 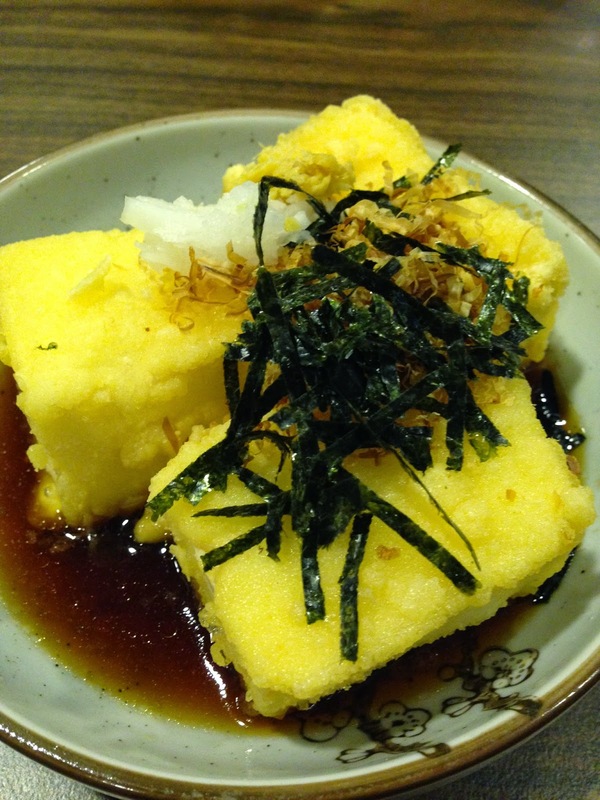 Dad ordered the Agedashi Tofu (S$6.80++) and it's everything that you'd expect from an Agedashi Tofu. The waitress had 'warned' us that it would come later than our noodles but it came at the same time as my dad's Chashu Ramen (S$14.80++). I ordered the value set (S$16.80++) which comes with a choice of a mini-ramen and a mini-don. So, I chose the kara-miso ramen (as seen above), which is the spicy miso soup base with the thicker and harder noodles that originated from Hokkaido. The soup was really thick and rich. I also liked the thicker noodles that have more bite compared to other types of ramen. The restaurant recommends adding butter (S$1.50++) to make it taste even better but honestly, the price of the butter is a turn off and I think that the soup is thick enough to not want to add more fat in it. If you're really hungry, you can top up with S$5++ to change this half-sized ramen to the regular size one. Main gripe would be that the soup could've been served at a higher temperature. In terms of consistent quality, I still prefer Menya Musashi. 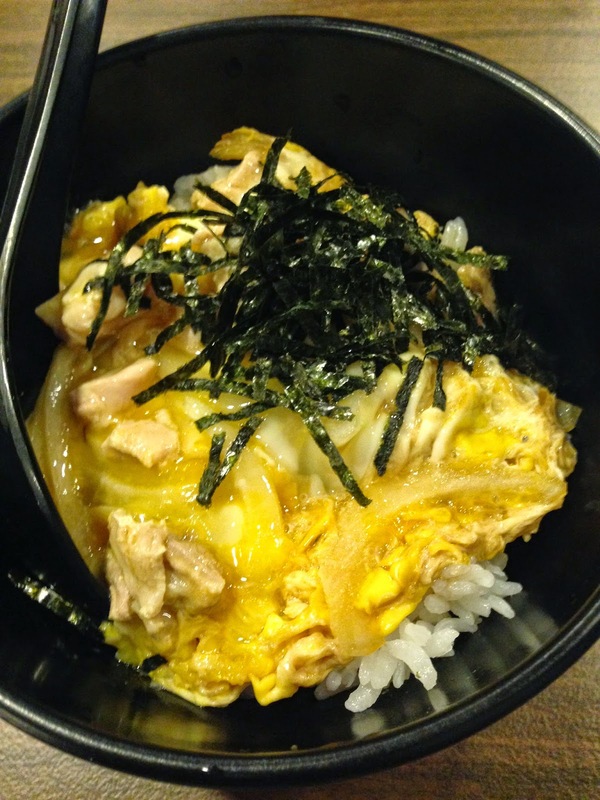 As for the choice of rice, I went for the Oyako-don. The egg was too undercooked and I had to send it back to the kitchen to cook it a little more. The onions weren't very cooked either. That said, the flavour of the egg mixture was pretty good and there was enough sauce to soak the rice with. The rice itself isn't very fragrant and it's obvious that it's not top quality Japanese rice but one cannot complain when the whole set is only S$16.80++ (comes with tea). I have yet to try their Hakata Tonkotsu ramen so I can't comment on how it stacks up against Ippudo but for the price, I think that Shin-Sapporo is really not too bad!